Performance Auto Care can diagnose any car problem no matter what the situation. We have all of the latest diagnostic equipment along with multiple mechanics that have been doing this their entire life. There is no problem to big or small for us to handle. You're driving along in your car or truck and suddenly a light illuminates on your dash telling you to check or service your engine. If you're like most car owners, you have little idea about what that light is trying to tell you or exactly how you should react. "It doesn't mean you have to pull the car over to the side of the road and call a tow truck. It does mean you should get the car checked out as soon as possible." Ignore the warning, and you could end up damaging expensive components. It also can be a sign that your car is getting poor fuel economy and emitting higher levels of pollutants. 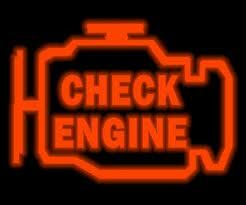 The "check engine" light is part of your car's onboard diagnostics (OBD) system. Since the 1980s, computers increasingly have controlled and monitored vehicle performance, regulating such variables as engine speed (RPM), fuel mixture, and ignition timing. In some cars, the computer also tells the automatic transmission when to shift. When it finds a problem in the electronic-control system that it can't correct, the computer turns on a warning indicator that's labeled "check engine," "service engine soon" or "check powertrain." Or the light may be nothing more than a picture of an engine, known as the International Check Engine Symbol, perhaps with the word "Check." In addition to turning on the light, the computer stores a "trouble code" in its memory that identifies the source of the problem, such as a malfunctioning sensor or a misfiring engine. The code can be read with an electronic scan tool or a diagnostic computer, standard equipment in auto repair shops. Under OBD II regulations, carmakers were required to install a much more sophisticated system that essentially acts like a built-in state emissions testing station. The computer monitors and adjusts dozens of components and processes. For example, it continually samples exhaust emissions as they come out of the engine and again when they leave the catalytic converter, a device that removes carbon monoxide and hydrocarbon pollutants from the exhaust. The system also monitors your car's fuel system to ensure that gasoline vapors are not escaping into the atmosphere through a leak or even a loose or missing gas cap. In most cases, if a problem occurs, the computer will wait to see if it corrects itself before turning on the light. Modern OBD II systems are so thorough that state testing centers increasingly are checking for any stored trouble codes and foregoing the traditional tailpipe emissions test.